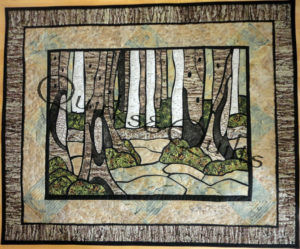 After a bit of delay, shops now have the new Northcott Naturescapes fabric in stock and I designed three patterns for it! 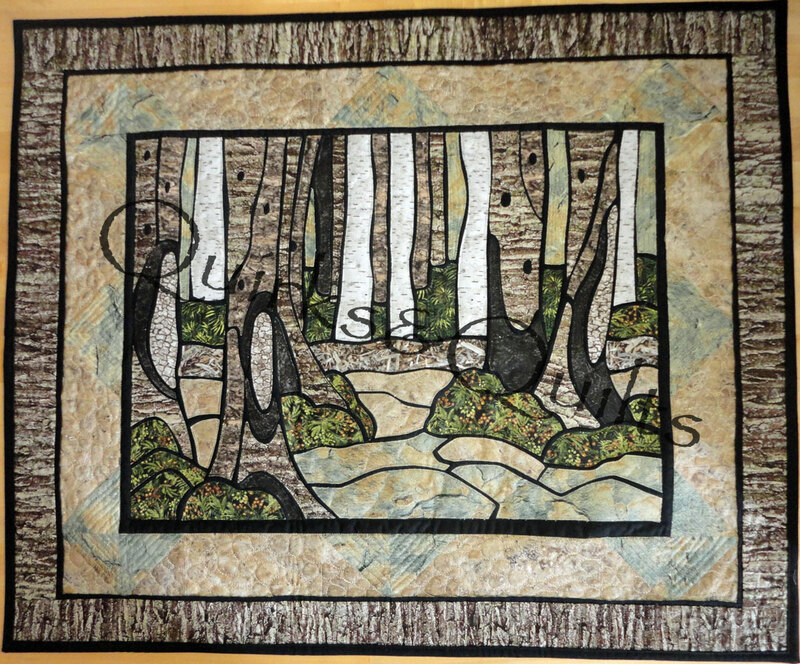 The first depicts a walk in the woods near where I live and with the pieced borders measures 34″WideX28″High. It’s called “Hidden Path”. The second shows an old favourite haunt right near both downtown Ottawa and my alma mater, Carleton University. 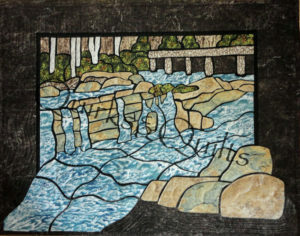 It measures 32″WideX25″High and is called “Hogs Back Falls”. I had some some fun letting the picture run out over the border. 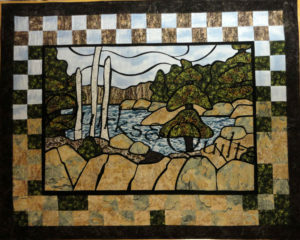 The third design is another old spot I love, the Barron Canyon in Algonquin Park. 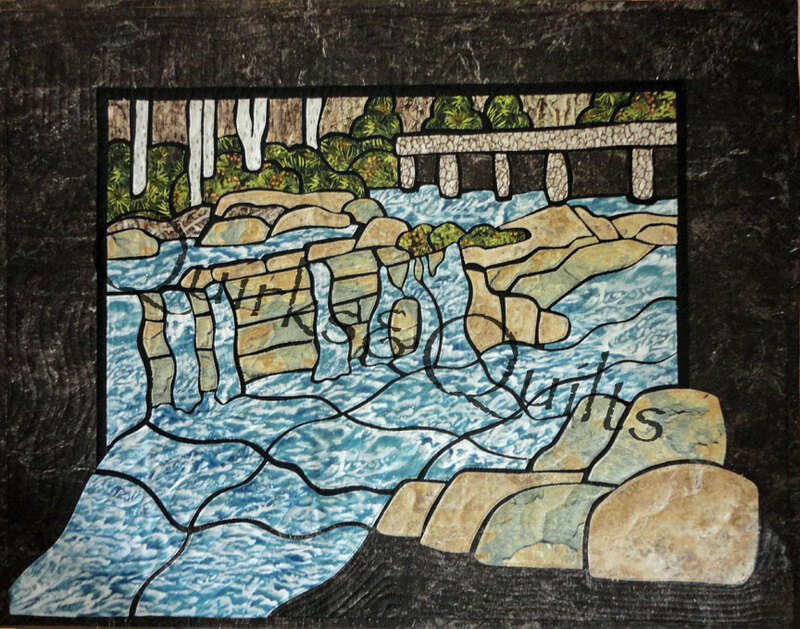 It is 39″WideX31″High including the pieced border, and is titled “Rough Water Canyon”. I really enjoyed working with this collection and hope you do too! 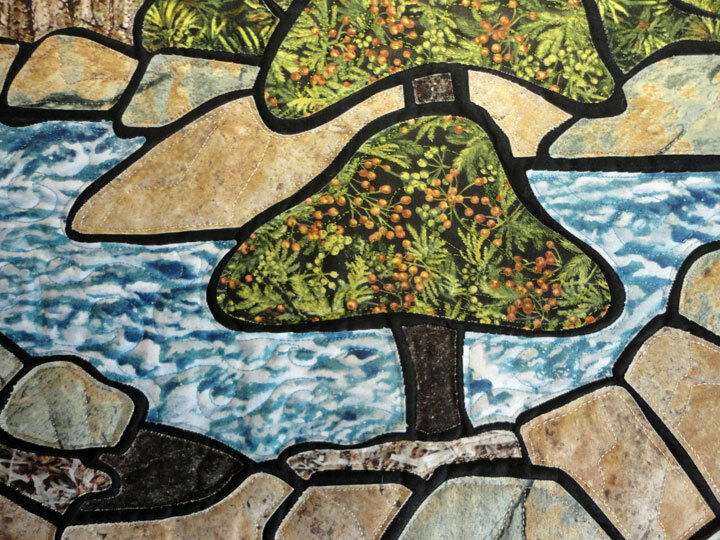 I am taking one of your stain glass classes and look forward to it. 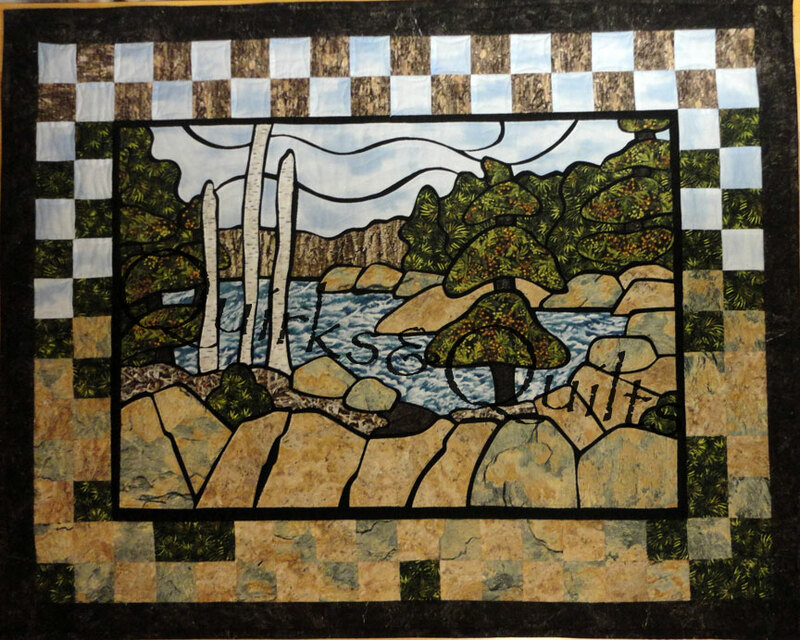 But In our area I can not find any quilt store that carries the Northcott naturescapes fabric that you use in your quilts. I live in the Durham region and to get any Northcott Stonehenge material is next to impossible. It is too bad you can not bring the material to the classes you teach. You can’t even find material that looks like water. Rocks, etc. 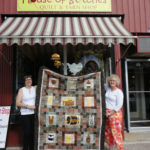 Awesome new designs…will have to go get some of the new fabric! For sure! You can have a lot of fun with it.